Light Duty:These cutters are perfect for any project that requires some finishing cuts or light milling work. Obviously these are not for the most heavy duty of projects; but for anyone who is finishing up a project or works on a smaller scale these are perfect. These light duty cutters offer the perfect level of precision and control that a craftsman need. Maxwell Tools offers two different sets of light duty milling cutters two fit the needs of any craftsman. There are wide cutters with less than 3/4″ that use straight teeth. Alongside the wide cutters are spiral teeth cutters with a width more than 3/4″ these generally have a left hand spiral to them. Heavy Duty:Utilizing a 45 degree I.H. spiral Maxwell’s heavy duty cutters are the perfect thing for heavy stock removal. These cutters are the perfect thing for craftsman who work with heavy materials and need tools that are up to the challenge. Offering the strength and stability that they need to get the biggest jobs done quickly while offering top level quality. 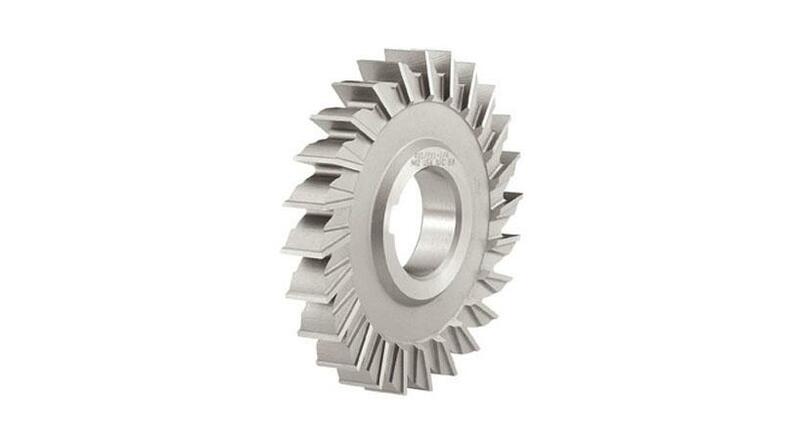 Helical Milling:Helical milling cutters are used for very special projects. These cutters are the best around for milling thin pieces of metal. The helical shaped blade will offer craftsmen the precision they need to complete a project with a lot of detail. Over time all of these milling cutters will begin to wear down, their teeth losing their edge. That is why Maxwell Tools offers all the services craftsmen need to keep their milling cutters sharp. Maxwell will re-groove and regrind milling cutters to ensure they keep their high quality throughout their lifetime. These services will come down to how worn out they are as well as the condition of the teeth. These cutters actually go by a few different names including slab milling cutters and surface milling cutters. So keep that in mind when looking for your next milling cutter. At Maxwell Tools we offer cutting tools of every type manufactured with the highest quality steel. We offer our customers a wide range of steel grades to meet their every need. All of these are kept in stock so that we can meet the most urgent customer needs. Maxwell Tools talented team of technicians has access to the latest model machines to make sure each piece we manufacture is the highest quality. All of our products, especially the milling cutters, stand heads and shoulders above our competitors. You won’t find another company on the market that offers the same level of quality. We guarantee that when you order from us you will receive the best parts around. Whether you’re looking for a milling cutter or tool bits you shouldn’t look any further than Maxwell Tools. Not only do offer the highest quality pieces on the market we offer the services you need to keep them working for years to come.